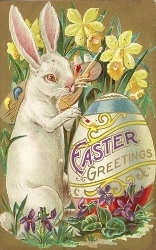 15 April: I wish all my visitors a happy Easter. Very nice new puzzle from Dill, a guest setter, which should take your mind off Brexit woes! Recent guest puzzle from Harold. New puzzle from me, containing a dedication in the grid. I have done a bit of work on this site recently to tidy up some of the pages. If as a result there are any broken links or other errors, please don't hesitate to let me know. Welcome to my website. It�s exactly what it says � free crosswords online to print off so you can solve them at your leisure. No subscriptions, no pop-up ads, no nonsense. You can�find�my puzzles�via an index page which says a little about each puzzle. I have also published several crosswords from other setters, and have been very impressed by the standard of the puzzles I have received, many of them from new compilers. These are listed on the Guest Puzzles�page.�In response to several requests�I have added a beginners� puzzle�which, as the title suggests, is significantly easier than the rest. There are explanations for each clue accompanying the solution and new solvers would do well to start here. There are yet more free puzzles on offer � though I should point out that these are the leftovers from�my first job writing puzzles for a media agency�and are therefore pretty�basic. Is using a dictionary to help solve crosswords cheating? Find out what I think about this.�Novice crossword compilers may find the page on Ximenean clueing�helpful. There is a follow-up article�on the same topic outlining some of my ideas on the ever-continuing debate on how rigidly clue writing should follow rules. The article on single letter indicators examines the various techniques for indicating initial and final letters of words in a clue, and there is also�an article�on link words in clues. There�s an article which deals with cryptic definition clues�and, another which discusses &lit clues. Encouraged by an email from a visitor, I have written a piece about which words can be used in different puzzles. I�ve also done a piece about Ninas, which are increasingly used by some setters in crosswords. Good surface readings are an important part of clue writing, and I explore this in another article. I hope that the growing collection of general tips for setters will be useful to anyone who seriously wants to write puzzles. Poor grid construction can lead to an otherwise decent puzzle being rejected, and so I have written a guide to the basics of this aspect of creating crosswords. I would advise anyone who wants to publish here as a guest setter to read it before submitting a crossword to me. The Chambers Crossword Manual is essential reading for solvers and setters of all levels, and I have written a piece extolling its praises. Also to help aspiring setters there�s a piece on�how to set about becoming a professional compiler�in response to several questions on this subject. For those of you interested in crossword compiling software there is an article on Bryson Limited�s Sympathy program. This site has received traffic from all round the world � and not only from English speaking countries. Indeed, some of the guest puzzles are excellent cryptics from people who have learned English as a second language. This�spurred me on to put my�knowledge of the Czech language to use. The Czech Puzzle is a simple, definition only crossword � to my shame I couldn�t manage a cryptic! � so if you speak the language, do “czech” it out. I have responded to the phenomenon of the incredibly popular Sudoku puzzle�by writing an article on how I see crosswords faring in the future in the face of such stiff competition. Also I have included a piece about that pinnacle of crosswording achievement, the Listener Crossword. If you like this site and would like to find more crossword sites, please take a look at the�Links Page. I am happy to promote other crossword sites here, but please note that�I prefer to include links to sites that offer some or all of their puzzles without charge. I would of course appreciate the favour being returned! I�ve had a number of enquiries about copyright, and have written a short piece about using these puzzles in other publications�which I hope will help. From time to time I�ve been moved to write a few�articles unrelated to crosswords about various subjects�- these can be found on the�Bits and Pieces�page. If you have any questions, the FAQ page may help. If not don�t hesitate to contact me. All feedback is welcome. All crosswords were�created with Sympathy software.